The molecular mechanisms underlying the vasculopathic effects of uremic toxins that accumulate in CKD remain unclear. Shang et al. investigated the role of microRNA-92a (miR-92a), an oxidative stress-responsive molecule involved in angiogenesis and atherosclerosis. Results from their studies in patients with CKD, rats with adenine-induced CKD, and cultured cells indicate that the uremic toxins promote endothelial cell expression of miR-92a, which inhibits the expression of endothelial-protective molecules. Treatment with anti-miR-92a prevents uremic toxin-induced endothelial dysfunction in vitro, suggesting the miR-92a pathway as a target for treating CKD-associated cardiovascular disease. 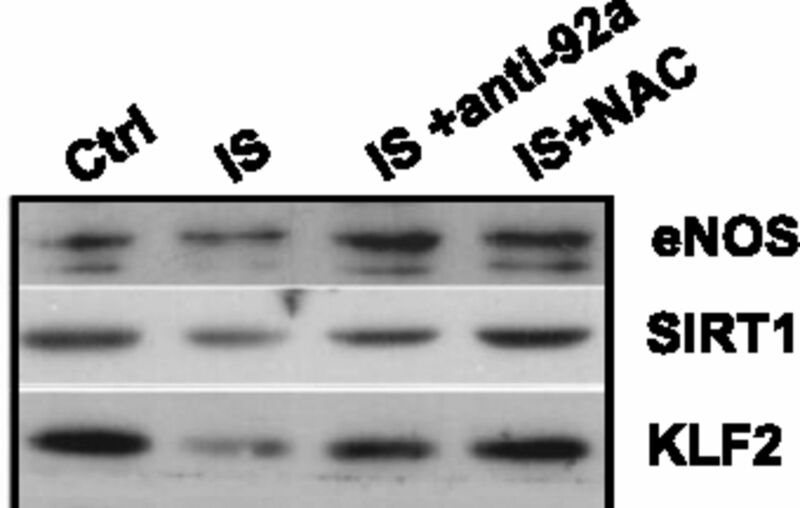 See Shang et al., pages 3251–3261. Previous studies suggested a profibrotic role for yes-associated protein (Yap) and transcriptional coactivator with PDZ-binding motif (Taz). In this issue, Liang et al. present compelling evidence from in vitro and in vivo studies indicating Yap/Taz functions as a mechanosensor that responds to matrix stiffness by inducing myofibroblast differentiation and further enhancing extracellular matrix deposition and stiffness. In mice subjected to unilateral ureteral obstructive injury, knockout of Yap/Taz in Gli1+ cells partially reverses the interstitial fibrosis induced by this feed-forward loop. These findings may inform the design of therapeutic approaches to reduce renal fibrosis. See Liang et al., pages 3278–3290. Liddle syndrome has been linked to mutations in genes encoding the β- and γ-subunits of the epithelial sodium channel (ENaC). In this issue, Salih et al. report on a family with Liddle syndrome caused by a C479R gain of function mutation in the extracellular domain of αENaC. In oocytes, expression of the C479R αENaC mutant increases the amiloride-sensitive ENaC current. Rather than increasing the number of channels as the β- and γ-subunit mutations do, however, the C479R αENaC mutation enhances intrinsic channel activity. This mutation may be responsible for unexplained hypertension associated with suppressed plasma renin and aldosterone in other patients. See Salih et al., pages 3291–3299. The vasoconstrictive protein endothelin-1 regulates renal physiology, but whether endothelin-1 also has a pathogenic function in human renal disease is unclear. Here, Rebholz et al. report results from their prospective study of the cross-sectional association between serum levels of endothelin-1 and renal function among 3538 blacks participating in the Jackson Heart Study. 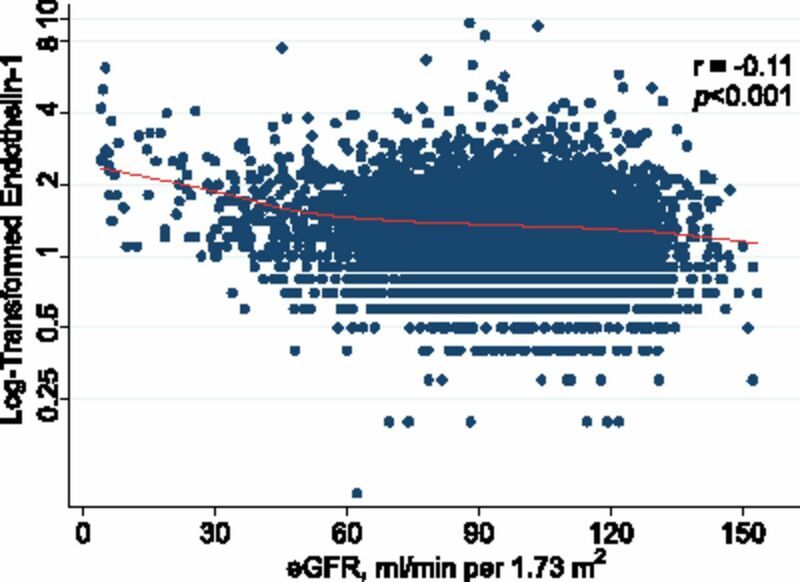 Higher baseline endothelin-1 levels independently associated with a greater incidence of CKD and all-cause mortality over a median 8 years of follow-up. These findings require confirmation in additional cohorts but support the relevance of investigating the endothelin pathway in kidney disease. See Rebholz et al., pages 3337–3344. The relationship between olfactory function and nutritional status in the context of kidney disease is poorly understood. Nigwekar et al. conducted a cross-sectional study of olfaction in 161 subjects and found odor identification deficits in most patients with CKD and ESRD. Moreover, these olfactory deficits correlated with assessment scores and biochemical markers indicative of malnutrition. Results of a 6-week pilot clinical trial suggest that intranasal administration of theophylline can correct olfactory deficits in patients with ESRD. Larger studies are needed to confirm these findings and identify the underlying molecular mechanisms. See Nigwekaret al., pages 3395–3403. 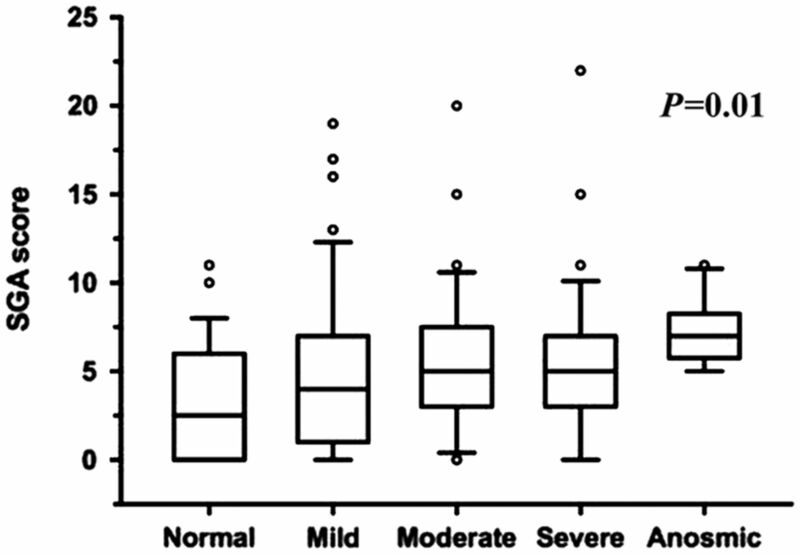 Does Src inhibition benefit patients with autosomal dominant polycystic kidney disease (ADPKD)? Here, Tesar et al. report results from a phase 2 study that assessed in 169 patients with mild ADPKD the efficacy and safety of bosutinib (SKI-606), a Food and Drug Administration-approved oral Src/Abl tyrosine kinase inhibitor. Compared with patients who received placebo, those who received bosutinib (200 mg/d) had less kidney growth over the 2-year treatment period. No new treatment-related toxicities were identified. Future studies should determine the long-term outcomes associated with Src inhibitor treatment in ADPKD. See Tesar et al., pages 3404–3413.